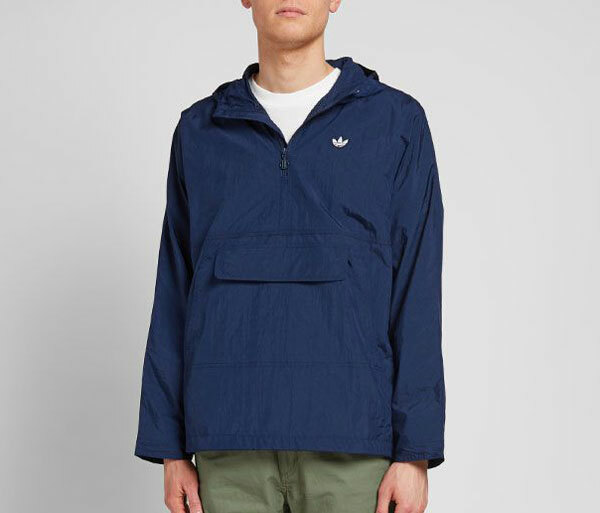 Maybe it’s all the rain, but right now I’m drawn to anoraks. 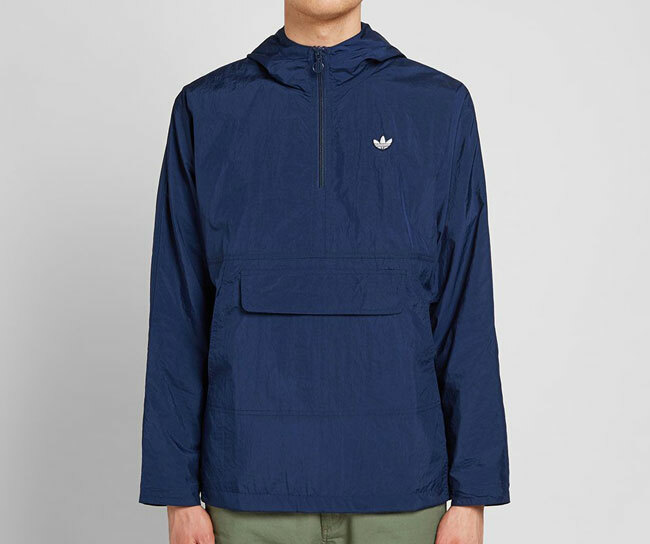 Including this Adidas Originals classic popover jacket. This is part of a mini range by Adidas known as Samstag, which is German for Saturday. Basically clothing for sticking on at the weekend. But there’s more to it than that. The range is based on past classics from the Adidas archive. 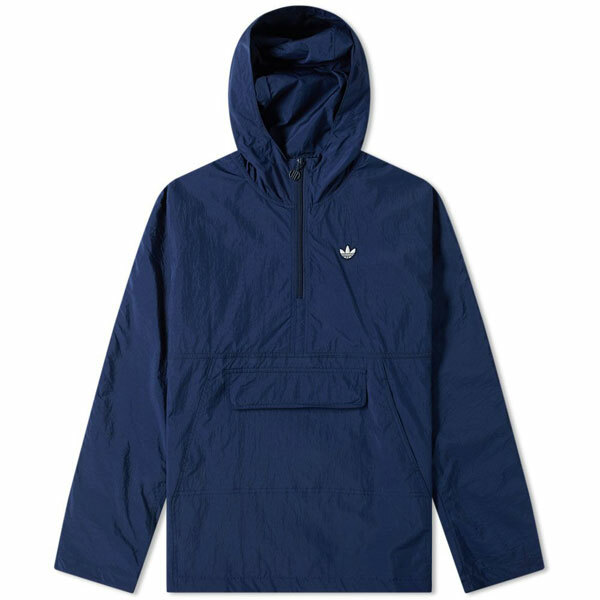 You might recall another part of the range I featured a while back, the Adidas Harrington Jacket. That was based on an Italian design from the 1980s and I really wouldn’t be surprised if this was of a similar heritage (although nothing definite is stated one way or another). This is classic rainy season clobber. 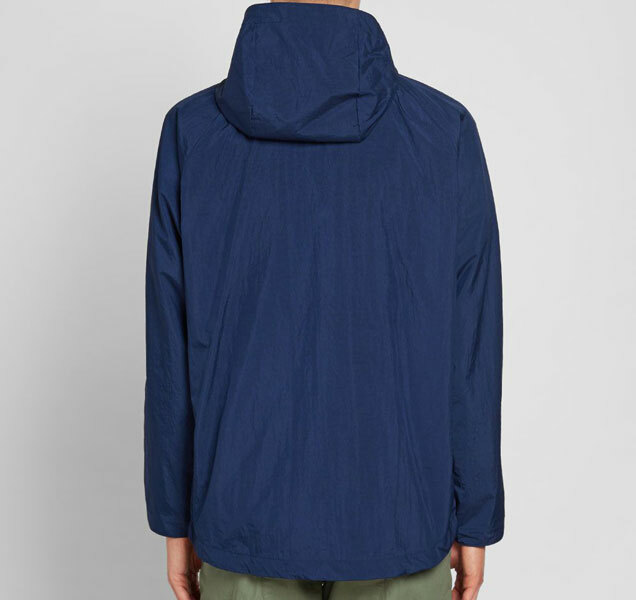 A pullover anorak made of lightweight nylon in an indigo blue. 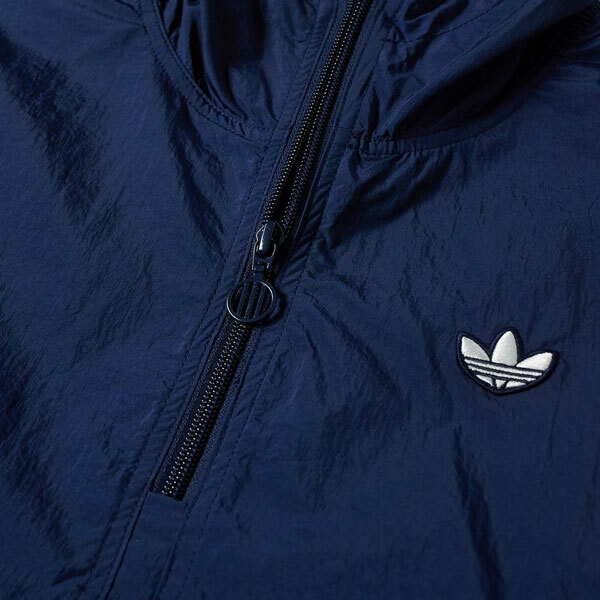 Details include a quarter-length zip closure, a central flap pocket, drawstring hood and of course, the classic Adidas logo. 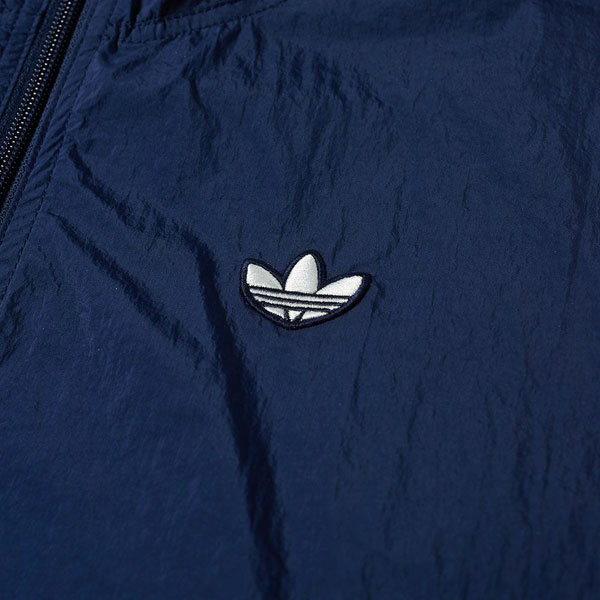 It has a boxy fit, so great for slipping on over layers and I’m sure I read elsewhere (on the Adidas site) that it also comes with a free Trefoil pin badge. But the jacket isn’t listed there anymore and there’s no confirmation of that at End. So treat it as a bonus if you do get one. Talking of a bonus, this is cheaper than a lot of similar jackets out there, selling for £85 in sizes from extra small through to XXL. In light of the current weather, it could be a shrewd investment.